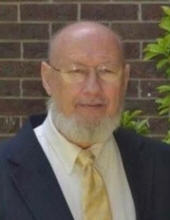 Ivan Neal Owen, age 74, of Tunnel Hill, passed away Thursday, March 21, 2019 at Hamilton Medical Center. He was preceded in death by his parents, Clifford and Delphia Akins Owen; his brother, Jack Owen; and nieces, Kelly Fetzer and Pam Nealy Cole. He is survived by loving wife, Phyllis Headrick Owen of 54 years; son and daughter-in-law, Jason and Amy Owen; son and daughter-in-law, Aaron and Shuron Owen; grandsons, Justin, Matthew and Xander Owen; sisters, Marie McPherson, Jane Hammontree, and Sybil and Elbert Knight; brother and sister-in-law, David and Sandi Headrick; sister-in-law Cheryl Smith; sister-in-law Frankie Owen; and nieces, nephews; great nieces and nephews. The funeral service to honor the life of Neal Owen will be held Saturday, March 23, at 3 p.m. at the Rocky Face Chapel of Julian Peeples Funeral Home with Rev. Rick Edwards officiating. Burial will be in Whitfield Memorial Gardens. The family will receive friends at the Rocky Face Chapel of Julian Peeples Funeral Home on Saturday, March 23, from 12-3 p.m. In lieu of flowers, donations may be made to St. Jude Children’s Research Hospital, 501 St. Jude Place, Memphis, TN 38105 or Westside Baptist Church Fellowship Hall Fund, PO Box 589, Rocky Face, GA 30740. You may leave the family a message or light a candle on the tribute wall at www.julianpeeples.com. Funeral arrangements are by Julian Peeples Funeral Home, Rocky Face Chapel. For more information, call (706) 272-9777.